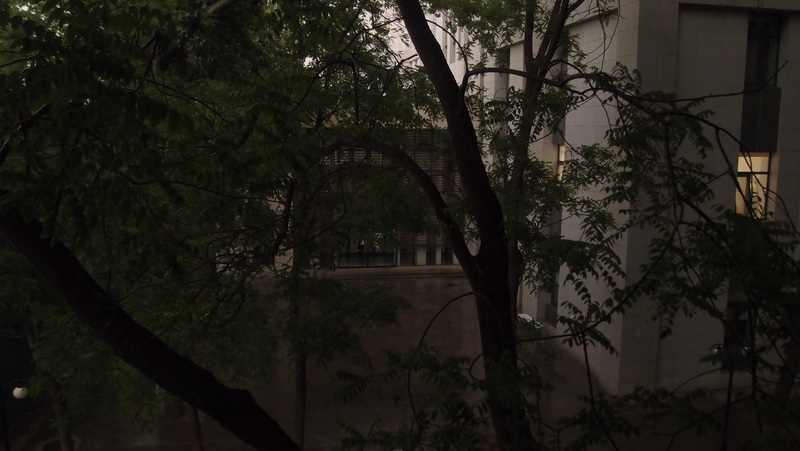 This afternoon here in Beijing, we had the first measurable rainfall in nearly a year. For the half hour or so as the rain came down, accompanied by some lightning and thunder, this unfamiliar cacophony spelled bliss. It was wonderful. Yes, we have had flirtations with rain. And, on one or two occasions, I have woken up to see the ground damp, but nothing like this. As an additional gift, I could feel the humidity drop and the air cool, creating a lovely near-English feeling, a proper companion to my sipping some P.G. Tips tea and finishing C. Bronte’s The Professor, the final scenes of which take place in England. The rain has stopped now. My hope is that this shower was but a prelude to more rainy days to come. We need them. Indeed, perhaps it may rain more as the evening wears on, at which time I will move from C. Bronte to Thomas Piketty and Capital in the 21st Century.